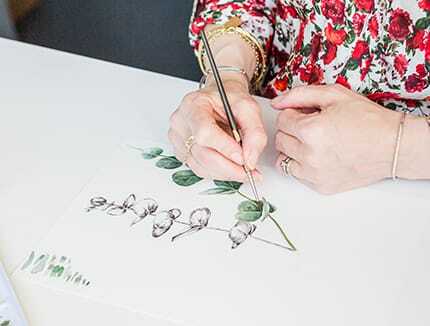 Whether it be a loved one’s birthday card, a graduation present, or a new restaurant menu, Gail will provide her exquisite illustrations for whatever your project or piece requires. 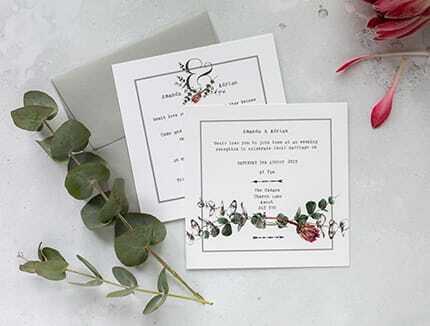 Wedding stationery including: wedding invitations, RSVP cards, order of service, wedding breakfast menus, table names, and tags for table decorations. Gail’s attention to detail runs through every aspect of her work. 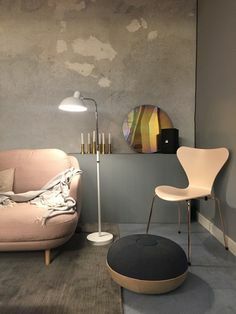 From working closely with you, she approaches her projects thoughtfully and professionally. Starkeys Lane has been one of the specially curated brands at Stylist Live, the event celebrating Stylist Magazine for the past three years. The London event is a festival of inspiration, bringing you the essence of Stylist Magazine, from pop-up boutiques to fashion, beauty and inspirational talks. 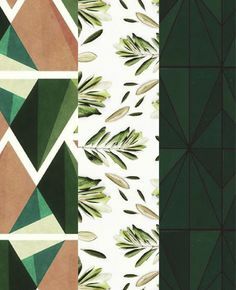 In November 2017, Starkeys Lane showcased it’s botanical range at the Stylist Live’s new home, Olympia London. 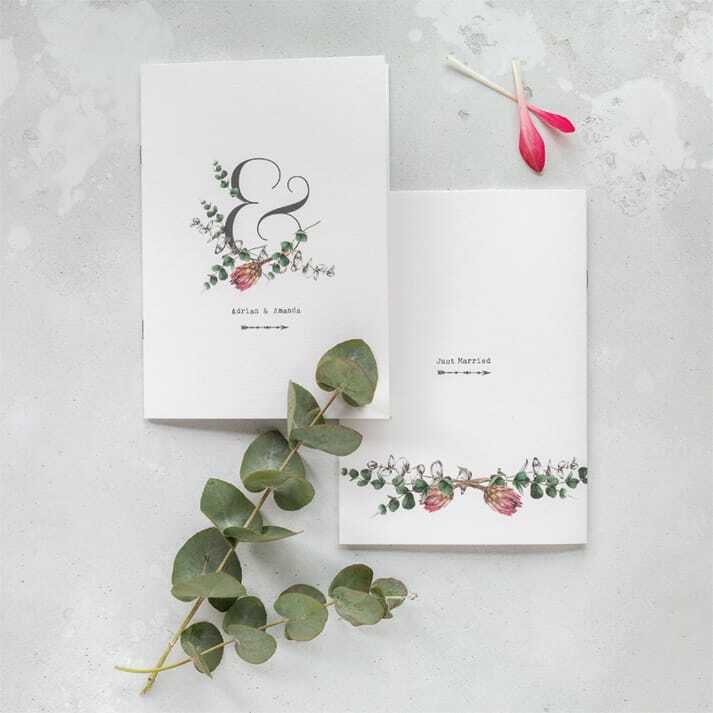 Beautiful stationery for your wedding. 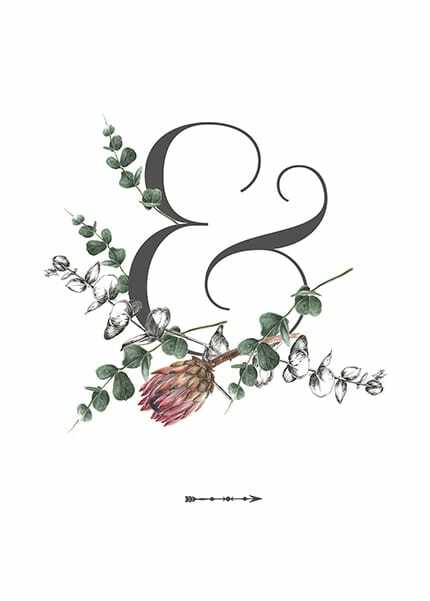 After initial discussions, Gail works with you to create beautifully illustrated wedding stationery to bring together your special day. 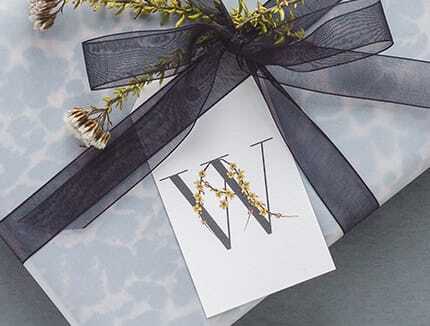 Gail’s botanical gift tags bring a personalised touch to your gifts whether they are for loved ones, branding or products. 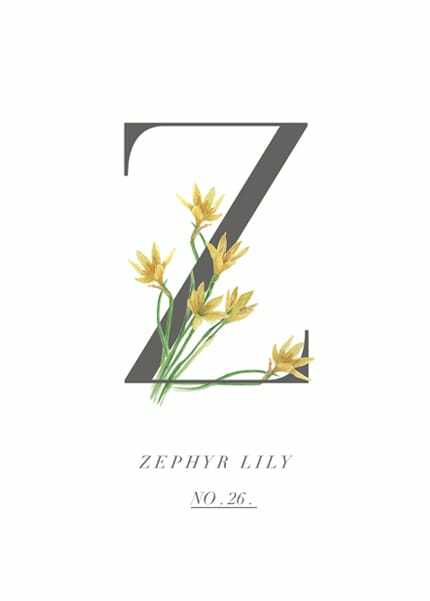 Zephyr Lily concludes Gail’s Botanical Alphabet, chapter 26 in a beautifully delicate anthology of watercolour works. 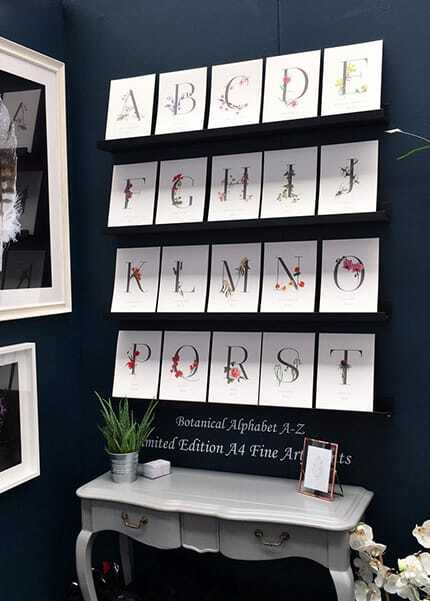 Gail’s botanical alphabet is becoming quickly sought after art for interiors. 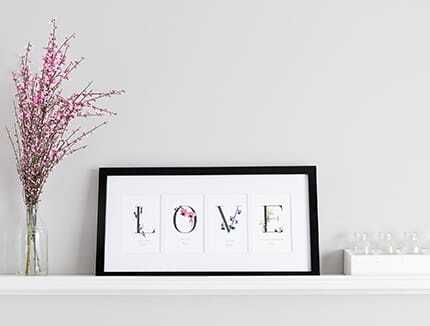 Whether you have fun spelling out words with the postcard size prints or feature the larger art prints, they look stunning in your home or workspace. 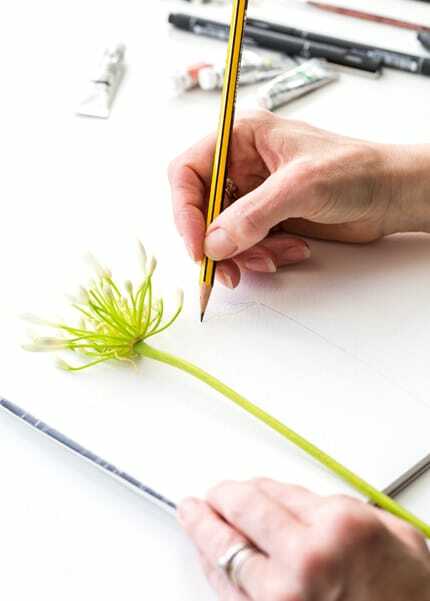 Gail works with a delicate touch paying close attention to detail. 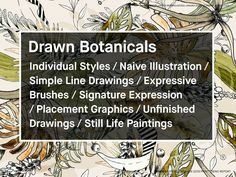 Her illustrative style and hand painted watercolour illustrations create beautiful original artwork for many different projects. 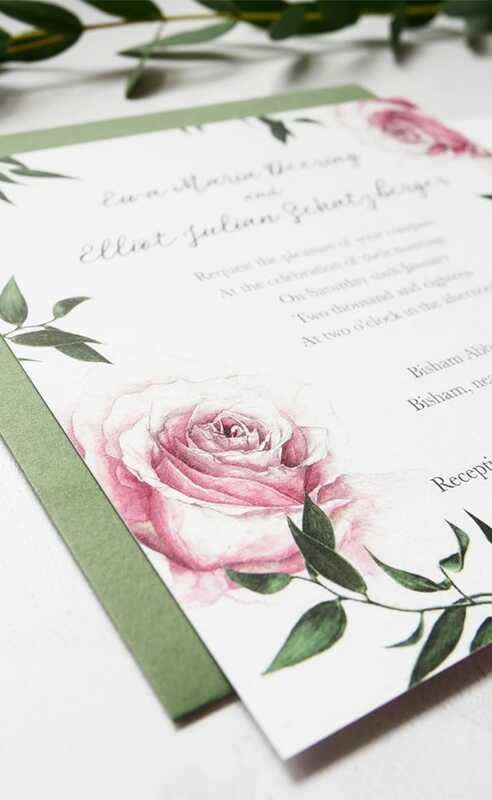 Wedding stationery including: wedding invitations, RSVP cards, wedding breakfast menus. To keep up to date with what Gail has been up to and all her latest work, please submit your email address in the box below.